An organization's entire Information Security Management Program depends on the implementation of foundational concepts. These core building blocks include items such as your risk management strategy and framework, core security policies and adherence to any potential regulatory requirements your business might face. These foundational pieces provide the mechanisms with which your business must assess risk in order to design and develop not only appropriate security controls across the Enterprise, but also that align those controls with the business's core mission. Security PS Enterprise Information Security services can help you assess your business's current situation to determine the overall health of your organization. We can then use this to leverage existing policies and processes to mold your Security Program into an effective tool that reduces risk, increases security and provides the compliance your business requires. We can also work directly with you to customize our offerings that suit your specific business requirements. Whether you're needing direction for building an Enterprise Information Security Program, or if you just need a health check on how your organization is doing regarding its program maturity, we have an easy place to start. 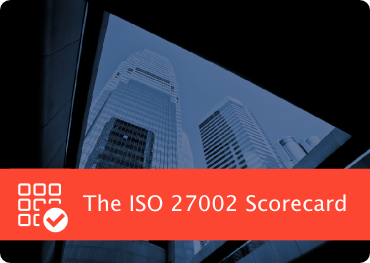 Our ISO 27002 Scorecard is designed to provide a quick, high-level review of the primary aspects of your program against the fundamental areas of the ISO 27002 standard. Contact us to see how the scorecard can help you take your next steps toward a stronger future.